ChineseCEO and Hong Kong Association of Southern California are partnering up with The Hartford and New Century Insurance to organize a Business Insurance Seminar & Dinner on October 23, 2012 at Hilton Los Angeles/San Gabriel from 6:00 on to 8:30 pm. Simon Saeheng, President, New Century Insurance Services Inc. 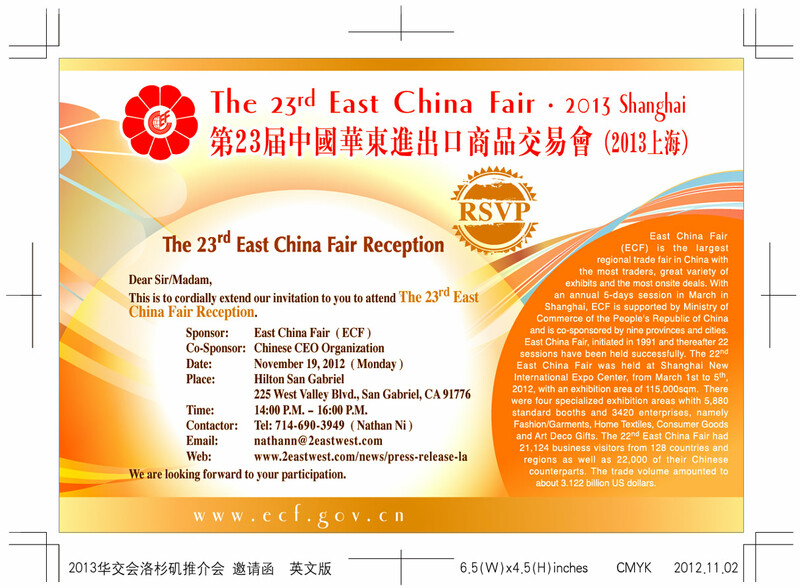 Admission: $15 for Chinese CEO members, $25 for non-members. 1409 N. Walnut Grove Ave., Rosemead, CA 91770.
ows from China into the U.S. more broadly. Speakers: Mickey Kantor, Orville Schell, Jeff Brown, Charles Wolf, Bill Allen, Jack Chen and Stella Li, etc. The seminar is organized by the Center for the Study of Minority & Small Business and the Department of Business Administration at UWest. The seminar is free of charge to the public. (turn right off Fwy 60, exit at San Gabriel). Please call (626) 571-8811, ext. 125 to reserve seating. The Moon Festival is comming soon. Sponsored by Bloomingdale's and supported by Chinese CEO Organization, Hong Kong Association of Southern California is joining hands with the Huntington to organize a Mid-Autumn Gala on October 3 (Wed) from 6 to 9pm. Please come and celebrate the Mid-Autumn Festival with your old and new friends in the beautiful Chinese Garden. 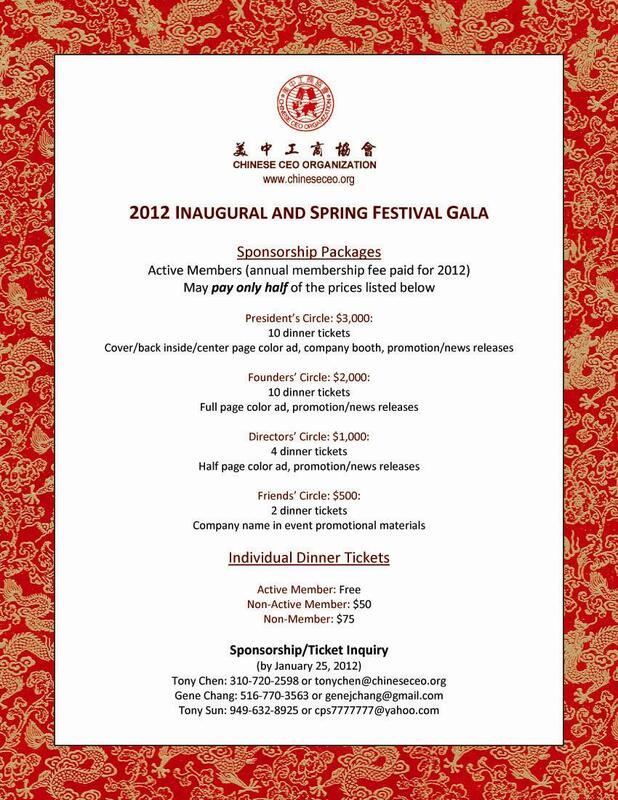 This event' net proceeds will benefit Phase Two of the Chinese Garden. Please note that the registration deadline is 9/21. Please RSVP ASAP if you plan to attend the event. See you at the Chinese Garden! Chinatown Service Center is inviting ChineseCEO member to come to the 13th Annual Small Business Expo on September 22 at the Almansor Court. （活動詳情請點擊) . Please contact Joyce Chan at jchan@cscla.org if you have any questions. （活動宣傳廣告請點擊) . Dr. Judy Chu, US House Representative will give a guest lecture for Prof. Michael Eng's class- MBA 558 Seminar on Doing Business in China. Dr. Chu will talk about how the US promotes trade abroad and how the US government can help businesses to export products. The officials from the relevant government export-assistance office will also come along with Congresswoman to answer audience's questions. Social Media Marketing for Small Businesses Tuesday, 8/28/12 6:00 p.m. - 7:30 p.m.
Tuesday, 8/28/12 6:00 p.m. - 7:30 p.m.
方向：Go 60 FREEWAY take EXIT 23 to Brea Canyon Rd, then go North and pass the railway, WJB Group is on your left side. 八月份，美中工商協會將有二場活動。 第一場是企業家藝術沙龍，我們將邀請中國著名畫家王偉中先生与我們分享他的藝術繪畫生涯和藝術追求的理念及經歷。 陳仲華會員（JACK CHEN）將贊助本次活動。地點在他的公司：790 E. Colorado Blvd, Suite710，Pasadena，CA 91101。時間是8/5 星期日下午2：00PM。RSVP is necessary. 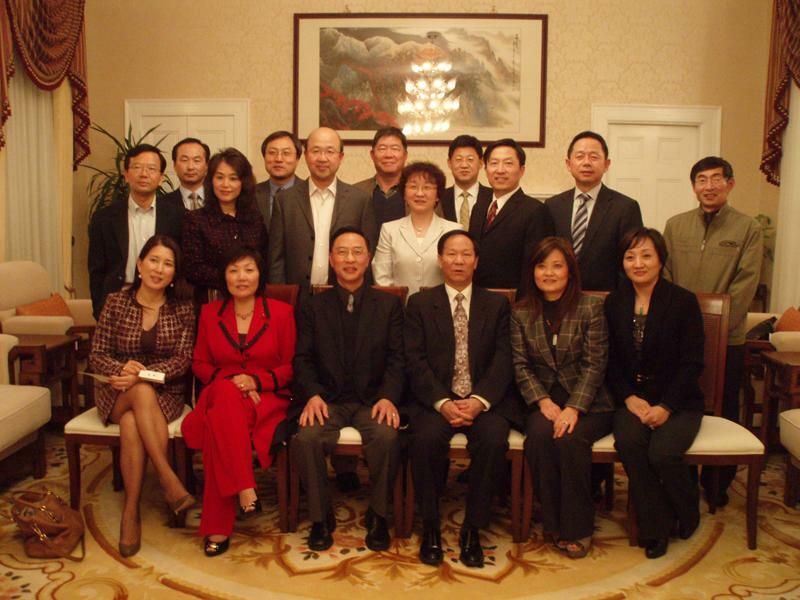 Chinese CEO Organization will be a co-organizer for the upcoming Wine Event at Monterey Hill Restaurant on July 12, 2012. The coming June is a big month for us since we will continue sponsor several important events. Please see the attached related info. Chinese CEO Organization will co-sponsor the seminar with HKTDC and Margolis & Tisman LLP. Subject: Using Law Today to Save Money Tomorrow. Date/Time: 6/13, 5:30PM to 7:30PM. Free admission but pre-registration is appreciated: 213-622-9446. Introducing Mission: Small Business CHASE & LivingSocial are helping small business thrive and grow by awarding up to 12 individuals $250,000 in grants. Vincent W. Davis Attorney at Law practice covers all areas of law including business, civil litigation, probate, and contracts will be a special guest speaker. Free admission for our CEO members. Please call Lisa Zhou at directly with your questions or email lisazhou@gensuncasual.com to confirm your attendance. Attendance to this conference is by reservation only. Seating will be on a first-come, first-serve basis for customers with a valid service contract on the conference date. All Chinese CEO members are invited at 12pm to 2pm on May 11 (Friday). When making reservation, please indicate that you are a member of Chinese CEO Organization to enjoy the member rate. For more information or to register, please contact SBCACC at or (310) 749-7658. (Please R.S.V.P by 5/4/12). It is the 3rd China-US Business Summit holding from April 29th to May 1st, at the Millennium Biltmore Hotel, Los Angeles, co-hosted by Global Times and China-US Business Summit Committee. There will be many CEOs, managers and investors from more than 150 Chinese companies to join the summit to meet entrepreneurs from US companies. Please check for more details via website http://www.chinaussummit.org/en/index.asp and summit review video http://www.youtube.com/watch?v=0nAhN2OkKtM . If you are interested in joining the event, please read the attachments. As member of Chinese CEO Organization, the organizer offers a special price of early birds. It is $590/person. Please refer to attached price categories. Should you have further questions, please contact Tony Sun: tonysun@chineseceo.org or cps7777777@yahoo.com . Two events arranged in May. 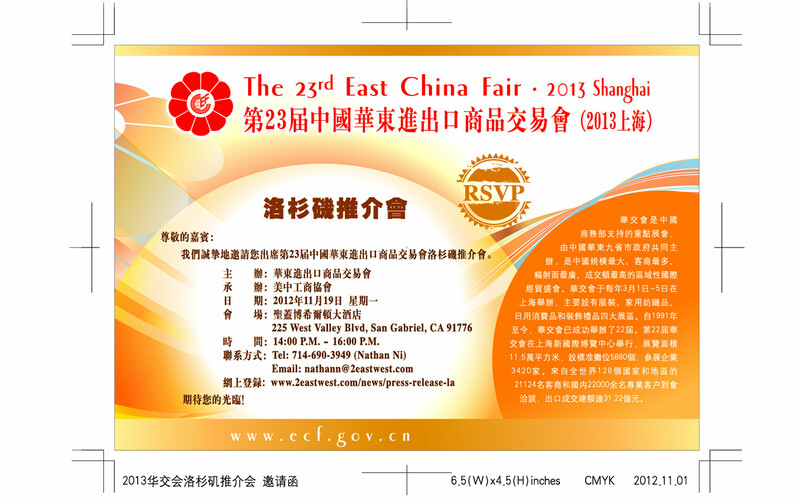 One is “US-China Business Forum” on May 20th. Another is “2012 OFFICE MASTER SYSTEM USER CONFERENCE” on May 18. -- The details related to “US-China Business Forum” will be released to you very soon. 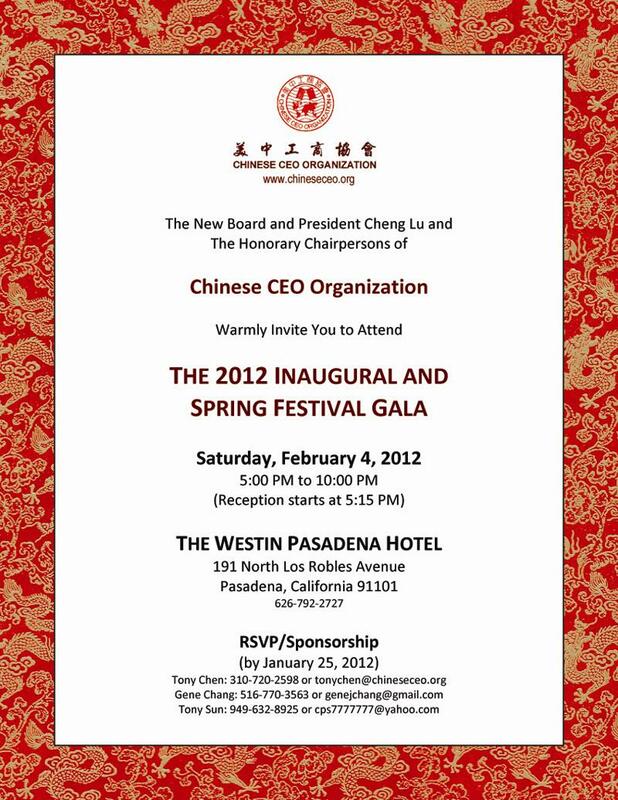 Ms. Lisa Zhou has worked very hard to get this free admission for our CEO members. Let's give her applause for her achievement and contribution. 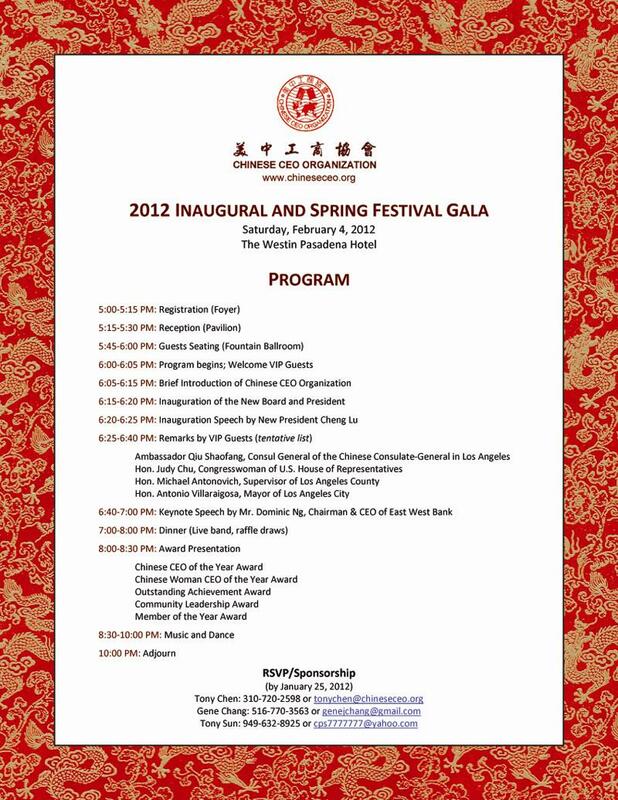 [12月28日會訊] Chinese CEO Organization will host 2012 Board Inauguration and Annual Celebration Gala at the Westin Hotel in Pasadena to celebrate the Chinese New Year - The Year of Dragon. Please mark and reserve this date on your calendar: 2/4/2012 (Sat). 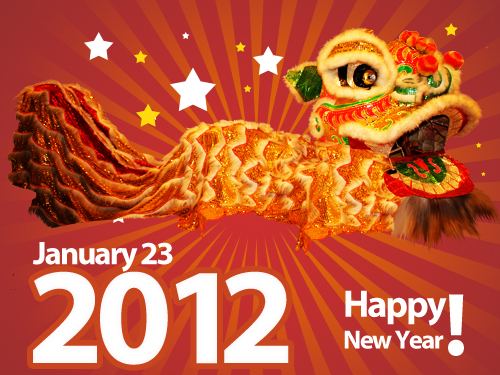 Wish you a very Blessing and Successful Dragon Year!